Cloning Marijuana Mother Plants involves cutting a growing branch tip and rooting it. Cloning is taking one cell of a plant and promoting its growth into a plant. 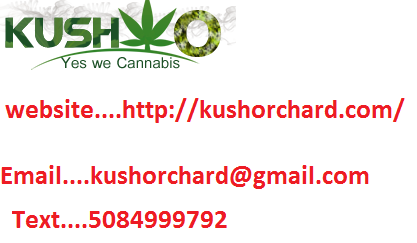 Marijuana growers commonly refer to a clone as meaning a branch of a cannabis plant that has been cut off and rooted. Growing mother plants allows you to take clones as often as every 4 days, depending on how many mother plants and the size of the grow room you have. By doing this, the grower is able to form a perpetual harvest, allowing for faster harvests and healthier mother plants. Cloning cannabis plants the proper way is vital to your plants growth and harvest. Whether using soil or hydroponics, taking cuttings is the same. Branch tips are cut using a clean razor blade, soil or rockwool cubes, and some rooting hormone like Hormex. These cuttings are trimmed and dipped into Cloning Gel or solution which helps stimulate root growth. Clones usually take up to 3 weeks to develop healthy roots, where my method and my custom clone machine will produce healthy roots in as little as 6 days. Once roots are established, clones are transplanted into vegetative growth. The faster you can produce clones, the faster you harvest. The video below shows you exactly how this is done. Now that your clones have healthy roots growing, its time to transplant them into Vegetative Growth. 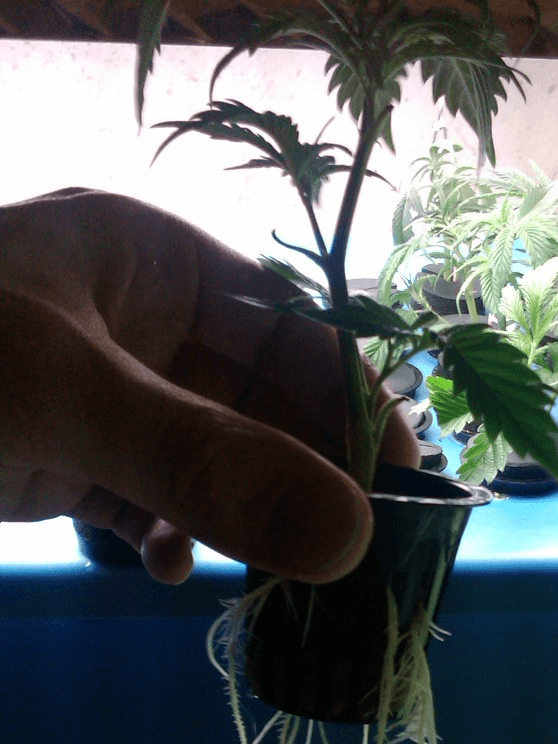 You will need to remove the rooted clone from your clone machine or your soil trays, depending on if you are growing in hydroponics or soil and place that cutting into the growing medium you are using. Then the clone needs to be under a metal halide light for no less than 18hrs a day. Once this plant is tall enough, you can either send it to the blooming stage or use it as a Mother Plant for Cloning Marijuana. I have a similar situation, only because I did not pay attention to the last two of my favorite, "unknown" strains that I put out to flower. They were two weeks into flower in my Outside Greenhouse when I noticed the error in not taking clones from them before they went out to flower. So I took six clones from the tops of each one. I also pinched the center of each one on the top. I put them back into the cloner. They are there now 15 days and no signs of roots yet. Will put 1 tsp of Cal Mag in today to see if it spurs any root development. Not in a hurry so I will watch and wait a bit longer. I am plucking the remainder of the flowering plants in the Outside Greenhouse this sunday. I have four GDP and Two of the Mystery Ladies. I have ten Big Bud x Northern Lights in veg and will be ready to flower in two weeks. These will go into the Inside Flower room. I also have twelve BBxNL and Six Blue Widow Clones coming along nicely with good roots. All the BBxNL and the BW I germinated from three seeds originally and have taken clones from them.. I have one BBxNL mother that is now five feet tall and real healthy. I also have a three foot Blue Widow mother also real healthy. My only challenge is keeping the total number of plants down to my legal limit and not being able to find anyone to move the clones to at the right time. Thanks for all the help Dizzle, could not have gotten to this place without your knowledge and that of the other contributors. they might… ive had some live through it ok… its very common that if they do survive they will be “retarded” in a sense. stay small, not strong, stay in flowering even when you have them in vegetative.. its worth the try tho! if they start acting retarded then i would put them to flower immediately and get what u can from them. My clones were cut from flowering plants. Have about 50% survival, but just got a T5 light. Do my flowered clones have much of a future??? Is there any problem cloning from a large (5-8′) plant? Can you clone off branches? clones from mothers are the same thing as the “babies”. the babies are clones that were cut from the mom. u can either clone the baby or clone the mom, its all the same! Are clones from the mothers better than from her babies? How many hours a day do I run the custom clone machine? Or does it run 24 hours a day until roots are ready? 1) the water is too hot. The hotter the water, the less O2 it can carry. You can’t heat the water and expect that will keep everything warm. Water hotter than 72 won’t carry enough O2. 2) if you mist the clones (IMHO) they most often get rot and keel over. It’s better to use a dome and let condensation built by not raising the dome for 6days after putting the clones into it. 3) I used a cloner, water is on 24hrs a day (no dome, no misting), but find putting cuttings direct into 1″ rockwool plugs is MUCH easier. You dip plugs into a light nutrient solution that is ph 5.0-5.5, then dip the bottom of the cuttings in rooting gel, then insert the cutting direct into the 1″ cube. All the cubes go onto a tray with a 12″ dome over the top. sounds like a good plan! Good luck, keep us posted! My clones are now about 28″ tall now. I am going to take clones from the top like you show in the cloning video for large clones. I will let let the mother plants veg again till they get 3′ tall as we talked about awhile ago. I am then going to put the ten of them in my outside greenhouse to flower. I want to do one or two sets outside to save money on electricity. Then in the fall or winter I will flower in my inside greenhouse.I am in South San Diego County and the weather is nice. Will see if they get Huge outside as you said they will. trying another batch 24 hour on air stones 6.0 ph 78 degree F with dome uncover twice a day and spritz with 6.0 ph water. i water for 30mins every 6hours. leave the air stone on 24hrs a day. i dont use a dome cus my room stays same temp. i use hormex rooting juice. i set the ph at 6.0… i use rockwool one part A&B for the nutrients in the water. Hi again also wanted to say how nice your clones look and i hope i can get mine to grow that well soon. I have tried two batches of clones using a a air stone clone machine. It is a 3×5 tote about 6″ tall with an aquarium heater to keep the water at 78* F ( the first batch i used a cheap heater from waliemart. I think my issue was the heater did not keep the water warm enough.) And a thermometer so the water is always at 78* F.
I do not have a temp regulated grow room i have to use my unfinished garage. I figured as long as the water was at a good temp and the garage was not freezing then i would be ok. But no. Also i have a good air pump for a 30 gal tank, with 2 sets of air stones. That keep the entire lid part constantly wet. I didnt have any of the baskets so i used one of them water noodles (they are about 2″ dia. 4′ long pool floaty thing.) I cut them to fit the holes in the top of the tote. They also are slit so the clone sits center of the piece. with about 1″ of clone sticking out the bottom. and is about 1/2″ above the constant 78*F , Water with B1 added. I did use regular old tap water aerated for 48 hrs before clones were introduced. Then covering the clones with another tote. to try to get the green house effect going. The cover is not air tight at all but it did stay moist for about the first week. Then even after i would spray both the tops of the plants and the inside of the tote. when i came back about 8 hrs later it would be dry again. So the air bubbles pop and splash water on to the root side of the clone. I kept the air going 24 – 7 for about 1.5 weeks and the clones just layed over and died. I am about to attempt my third try. But i am not sure why the last batch didn’t make it. Should the rooting part be constantly wet? Or should it cycle on off on off? If so what ratio on to off? I just made some efforts to make the dome more air tight. I noticed you do not use a dome. But i bet you grow room is pretty temp constant correct? On ether of my first two attempts i aireated the water for 48 hours to cut the chlorine out of the tap water and added about 1/4 tsp per gal of root master b1. Is there any other water tests i should of done? Lastly If you have some other words of wisdom on what you think i am doing wrong. Let me have it. I wish i would of seen your clone machine build before i started on the one i made. OH i cut all the clones just as you said and am using a rooting gel. Yeah, finally found the Cloning video. when the clones are in the rock wool cubes and in the small net pot basket which you put in your cloner, what is the watering cycle? Is it twenty fours a day spraying, or do you have the spray pump set up on a timer to only come on and spray on timed intervals? Also, do you use plain ph balanced water, or something added to the water? – u get the answers? Hey what were those little cubes you put the clone in for, how do the roots grow throught a rock? and do you take them out of the cube after transferring them from the clone machine, to the pot?